Some of the most well-known Colonial artists regularly worked in Annapolis. This curator-led tour of the William Paca House will provide an up-close look not only at the people portrayed, but also the artists who painted them. 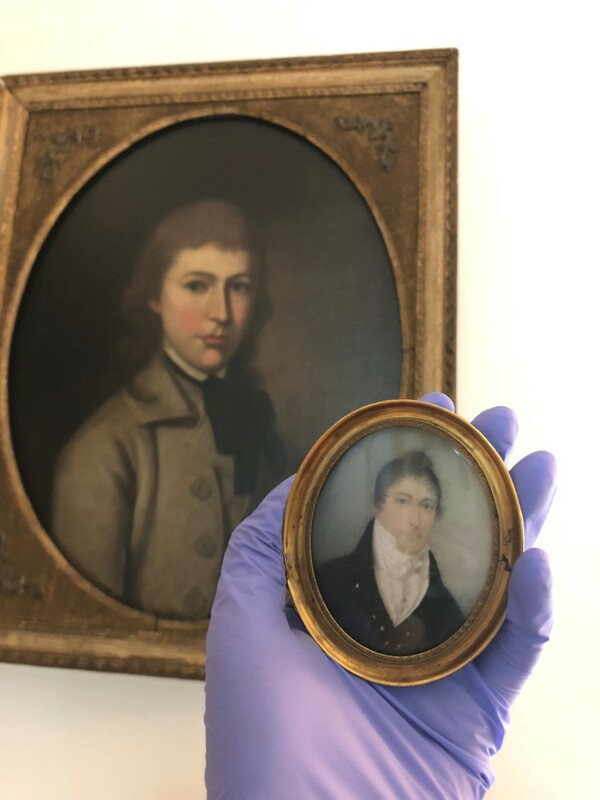 Discover why it was important for prominent members of society to have their likenesses captured and displayed. The William Paca House & Garden is a National Historic Landmark, restored to its colonial-era splendor by Historic Annapolis, a non-profit organization dedicated to preserving Annapolis. Take some time to experience the 18th century life of lawyer, and signer of the Declaration of Independence, William Paca, as you browse through his breathtaking home. The House is open for docent-led tours for individuals and groups. Tours take place hourly on the half-hour, last approximately 40 minutes, and encompass two floors of 18th-century history. Walk through the parlor, kitchen, grand foyer and many bedrooms, getting a true sense of what it was like to be a part of the high-society of Annapolis during the 1700s. You can take a self-paced tour of the garden at any time during open hours. After a tour, visit the gift shop and pick up some souvenirs to remember this unique experience. The house and garden can also be rented out by those seeking an historic setting for events such as weddings, meetings, and reunions.